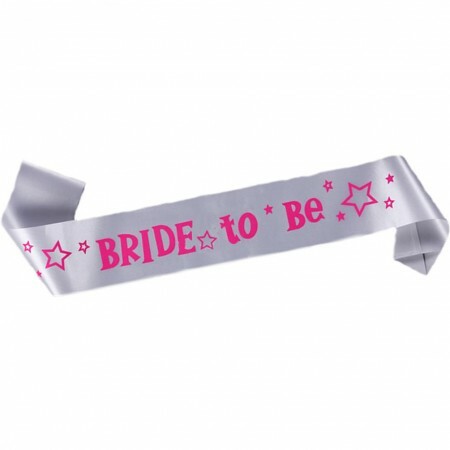 White satin Bride to Be sash with pink stars for the future bride to wear at her bachelorette party. The sash is 4" wide. It is packaged in clear plastic. The ends are sewn together.